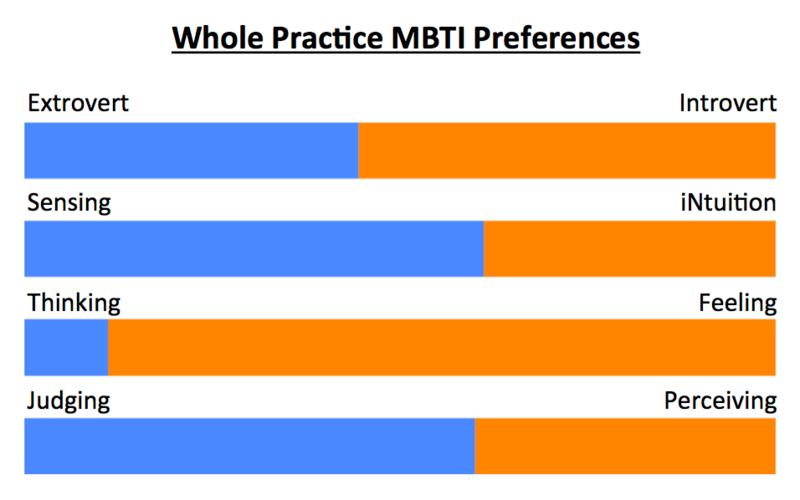 This post describes how we used personality type training at the practice to try and improve our effectiveness and reduce stress. Practices are under resourced and under pressure. But the stakes are high and our decisions and results can have a huge impact on our patients. In this environment it is easy for friction to develop between staff. A large amount of practice time can be wasted dealing with conflicts. Sometimes people can fall out dramatically with destructive results. To increase effectiveness at work, we know to invest in “hard skills”. These are specific, teachable abilities that can be defined and measured, such as how to process information, follow procedures and protocols and use equipment and software. When considering aptitude for hard skills, we often think of the (perhaps controversial) concept of IQ. But “soft skills” are important too. These are less tangible, harder to quantify and include skills such as understanding motivations – our own and our colleagues, listening, small talk and building relationships. These are also vital for individuals and teams to perform effectively. These skills make up our Emotional Intelligence (EQ). Raising EQ can improve the performance of individuals and teams. An effective way of raising EQ is to increase awareness of differences in personalities and preferred ways of communicating and working. Recently at our Practice, we designed and undertook a team building session based on personality typing. We used the Myers Briggs Type Indicator (MBTI) system. The aim was to help the team to better understand each other’s personalities, emotions and preferred ways of working. 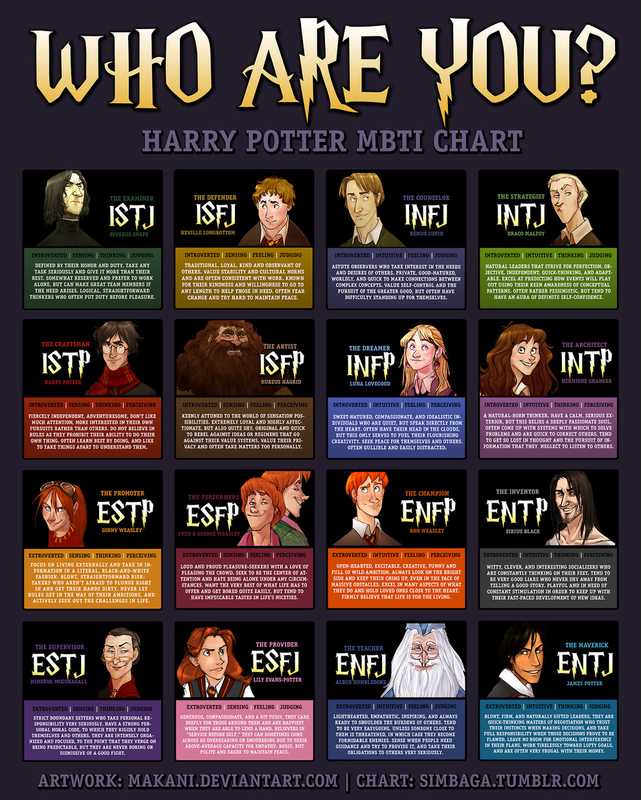 There are many systems for understanding personality, but the MBTI has the advantage of being supported by a large amount entertaining online content including forums, pictures and video. The MBTI was constructed by Katharine Cook Briggs and her daughter Isabel Briggs Myers. It is based on the typological theory proposed by Carl Jung. All staff from students and office apprentice to the GP Partners took a MBTI test prior to attending the whole staff training session. We used the test at 16personalities.com. This site has a lot of great free and amusing content. The MBTI system describes 16 distinct personality types, each represented by four letters. Each letter indicates which of two opposing preferences the individual favours. There are no better or worse types or preferences in the MBTI and it takes all types to make a balanced team. Our session included activities to explore the 4 pairs of preferences that make up the MBTI. We then mapped the personality types within the practice. Finally we discussed how this new knowledge might help with personal development, working effectively as a team and conflict prevention and resolution. To know someones personality, the MBTI suggests, you need to understand how they manage their energy, how they acquire information, how they weigh information to make decisions and how prefer to take action in the world. Extroverts will prefer to initiate conversations, be expressive, engage in many activities, enjoy a breadth of relationships and focus on the outside world. Introverts prefer to receive conversations, focus on fewer activities, prefer depth in relationships and have a more internal reflective focus. A popular analogy is that extroverts are “solar powered” drawing their energy from being active and engaged with many people, the more the better. Introverts, on the other hand, are “plug in”. They spend energy when with others, needing to be alone to recharge when their batteries run low. Sensing types prefer to deal in tangible hard facts, focus on the details, think more about the present and prefer practical tried and tested solutions. iNtuitive types will enjoy theories and look for the concepts and patterns implicit in the facts, focus on the future, think about possibilities and prefer original or creative solutions. Thinkers prefer to use objective logical approaches, value fairness through reason, focus on goals and end results and see conflict as a natural part of communication. Feelers value subjective information, fairness through compassion, are appreciative in their assessments and find conflict more unsettling, seeking to maintain harmony. It is important to remember that these categories only represent preferences – the approach that an individual is more comfortable with and likely to default too. Thinkers do have feelings and feelers are perfectly capable of out thinking a thinker. Judging types prefer to make advanced plans, itineraries, lists and schedules, value a methodical approach, seek to limit options and close down decisions, they like to have things decided early. Perceiving types can appear more casual and loose, prefer to be spontaneous, feel constrained by schedules, they like to keep their options open and only commit when they absolutely need to. How can this help a GP Practice? There is obviously much more to personal development, teamwork and conflict management, but where personality is a factor (it often is), the following thoughts will be helpful. Play to strengths – With knowledge of their type, staff can choose to focus on activities and roles that speak to their natural preferences. This is where they are more likely to excel and feel rewarded. The INTJ, “Architect”, type might gravitate toward strategic and planning roles. ESFPs, the “Entertainer” can predict success and fulfillment in work where dealing with groups of people and winning support are important. Awareness of weaknesses – Knowing where your “blind spots” might be is essential. Sensing types need to be sure to not get lost in the detail and keep an eye on the bigger picture and the future. Conversely iNtuitives, must remember not to neglect details in the here and now. Forming a team – Knowledge of the personality types of their staff can help leaders guide people to roles where they are likely to excel and find enjoyment. Team members can be selected with overall role of the team in mind. For example, the reception team might benefit from more extroverted perceiving types to best handle the direct patient contact and unpredictability. An admin team weighted toward introverted sensing types might be well suited to their more individual and detailed work. Beware team blind spots – I read an (American) case study about a Dental Practice. The Partnership had a good reputation for doing technically great work, but the business was underperforming. They sought advice and found that the partners were exclusively introverted sensing types. They actively recruited an extrovert intuitive manager to their team in order to improve the team’s ability to network with partner organisations and innovate new ways of attracting business. If it is not possible to recruit to fill a blind spot, then individuals in the team can be assigned to deliberately “play” the missing roles. In life, most people have learnt to be sophisticated operators. Under normal circumstances they will moderate their behaviour to contain any extreme traits and compensate for blind spots. However, when in stressful situations (often the case in the NHS!) people will fallback on their preferred ways of operating. Tolerance of different ways of working is also reduced. Stark personality differences and stressful work environments are a recipe for conflict. A common, neutral language for difference – Investing in personality type training for the whole team, will equip everyone with some shared vocabulary and concepts with which to understand and talk about their differences in a blame free way. This will empower the team to diffuse problems early and often without the input of managers. Where conflicts escalate to mediation and conflict resolution, this shared language can be used to facilitate understanding and empathy between parties. This can also inform suggestions about resolutions, including changes to behaviours and working patterns. Do the quiz BEFORE the session – We used www.16personalities.com. Be up front about the aims of the exercise – Make sure people understand that there are no sinister intentions. The aim is to raise the EQ of the organisation and to make everyone happier at work and the practice more effective. Use an informed facilitator – Naturally, the session will run best if the leader is familiar with the material and concepts. I read the excellent and highly recommended book Type Talk prior to delivering our session. You could consider bringing in someone from outside the practice. Follow up and display results (with permission) – This will maintain interest and provide a reference for staff to look up others type if they are sensing a problem. Sign post to MBTI resources on the internet – Googling a personality type will reveal lots of profiles, information and youtube videos which are great fun and useful to explore. Most celebrities, historical and fictional figures have been typed. Use the results – to actively manage staff, teams and conflict. If you enjoyed the post, then please share with friends and colleagues on Twitter & Facebook etc. and leave a comment below. Previous Previous post: Which deadly sin can help save the NHS?